“The Breath’s Deer” by artist Anders Ramsell, featuring Stellan Skarsgård, will premiere 4-9 September at the Fantoche International Animation Film Festival in Baden, Switzerland. The self-portrait is a clear presence in the film; Skarsgård provides the voice of “The Breath’s Deer”, taking on the role of Ramsell, while the audience sees a painted version of the artist himself. Previously, actor Rutger Hauer (Ridley Scott’s “Blade Runner” and much more), played the role of Ramsell in the critically-acclaimed “Genderness”, which featured at The Chinese Theater in Hollywood in the 2016 edition of the Beverly Hills Film Festival. While the script, animation, direction and editing is all done by Ramsell, the music is a collaboration with American cellist Lori Goldston, who earlier played with Nirvana, including their famous MTV Unplugged in New York live album. 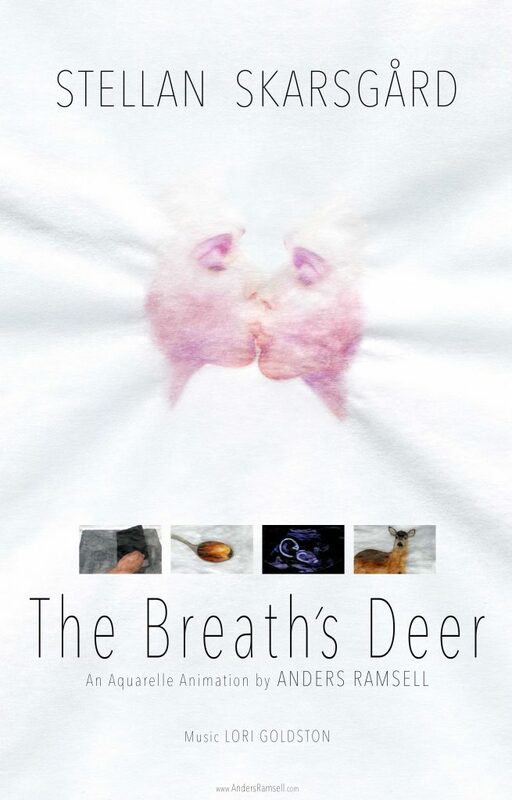 “The Breath’s Deer” has also been selected for the Fredrikstad Animation Festival in Norway in October. It will compete in the Nordic-Baltic Short Film Competition programme.